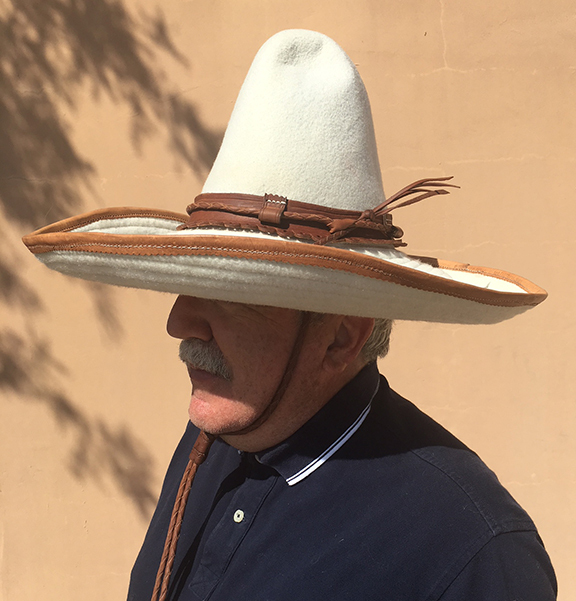 Here's a neighbor sporting my new RJ Custom Sombrero. Meet Sugarloaf Tom. Notice the high pinch on the crown. Dig it! "I see by your hat you are a Mexican wannabe." Lets see that on your ole noggin, Bob!